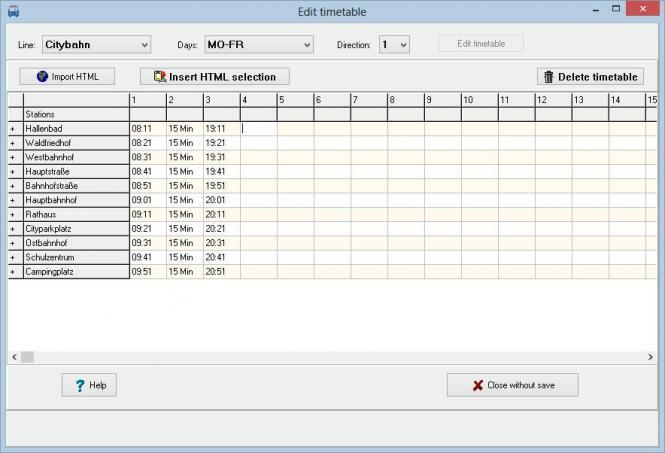 PTraffic is an easy to use application to enter, maintain and evaluate timetable data. The data format used to create platform independent browser applications is „Portable Data Format“. PTraffic includes functions to maintain stations, lines and timetables. The table editor has comfortable functionality for a fast input of time schedules. Integrated browser applications contain information about stations, lines, schedules and station-schedules. A journey planner is also included. 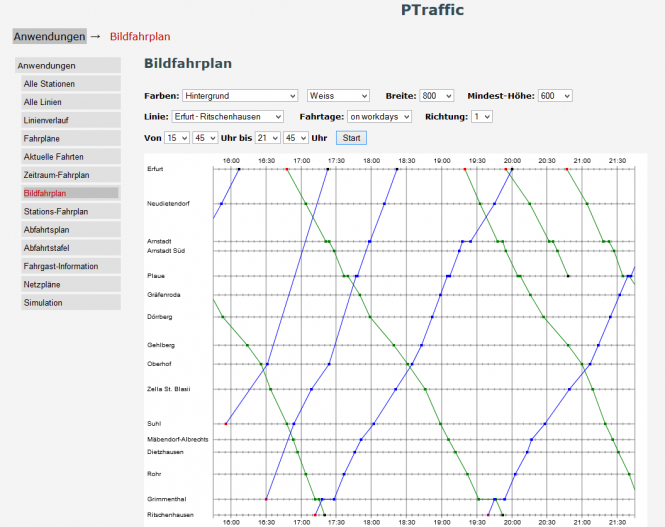 PTraffic generates data in „Portable Table Format“ to be accessed using the Open source Software PublicSQL. Individual Web-applications may be created using this format. In addition to PTraffic there is a display program „PTraffic Show“ available. Using this your own projects can be made available to greater audiences. PTraffic is designed to run on Microsoft Windows® XP, Vista, Windows 7, Windows 8 and Windows 10.